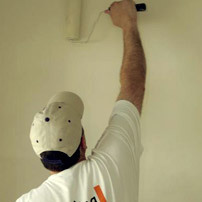 Providing both commercial and residential services, from single rooms to complete interior remodels, our professional painters know what it takes to transform your business or living environment. Whatever your color preference, specifications or decorative tastes, we make sure you get exactly what you want. A well painted home or business offers a lot more than curb appeal. Whether you own a historic bungalow or have small commercial building, Donald Prost Painting Company can make it stand out with a new color scheme. From matching colors and painting exterior trim lines to restoring paint, you can trust us to make your property stand out. We also off pressure washing and deck restoration throughout the year. Contact us at 919-270-6511 to speak with one of our painting consultants. From color consultations and paint matching, remodeling projects to preparation services on a newly constructed home, we pay attention to all the details. 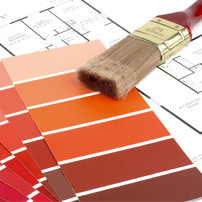 You can count on Donald Prost Painting Company as your preferred and trusted paint contractor.